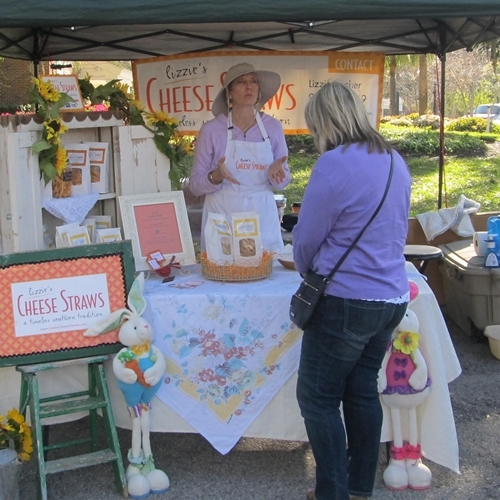 Lizzie’s Cheese Straws offers an elegant twist on a timeless, Southern tradition lacing a rich cheddar cheese flavor together with a subtle butter taste topped off with just enough of a peppery spice to give it a ‘lil kick… a dash of Southern attitude you might say. Baked into a crisp straw-like cracker and made fresh to order, this southern staple is a must-have at any festivity. Lizzie’s Cheese Straws is a tasty alternative to your typical chip or cracker and sure to be a party pleaser at any gathering. Owner and baker, Elizabeth Bacher was born and raised in the Southern delta town of Yazoo City, Mississippi, and a graduate of the Mississippi University for Women, but her home is in Jacksonville, Florida. While her heart will forever belong to Mississippi, baking treasured family recipes is her way of keeping true to her southern roots. 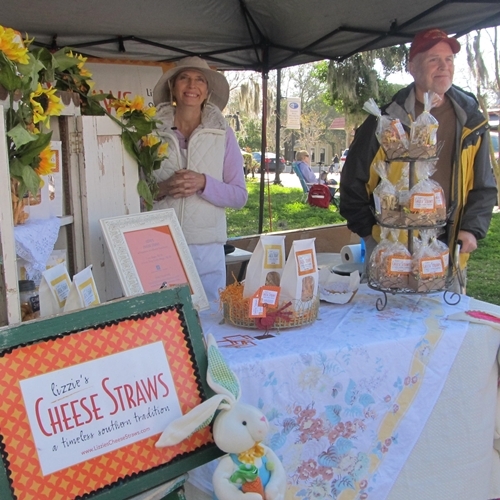 Using her grandmother and aunt’s cheese straw recipe, she proudly carries on their tradition with every fresh batch of Straws. 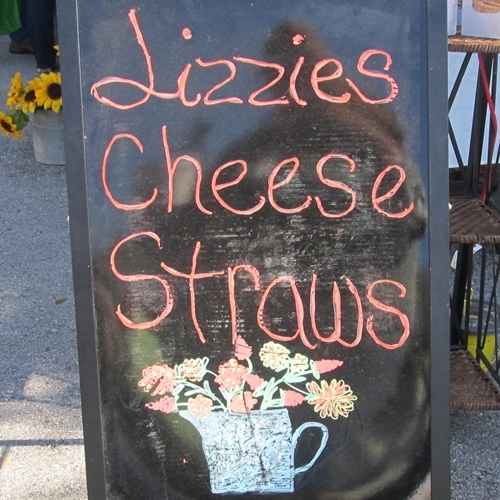 Lizzie’s Cheese Straws offers two flavors – Classic Cheddar and White Cheddar with Rosemary & Black Pepper. 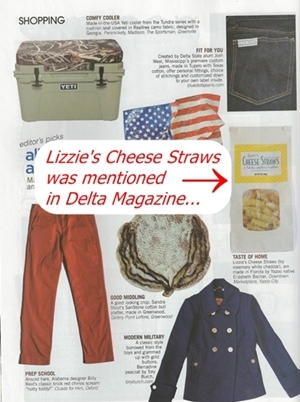 The biggest problem with Lizzie’s Cheese Straws? They taste so good, they will never last in the car ride home!! !